Scott Walker of Wisconsin, Mike Pence of Indiana, Rick Snyder of Michigan and John Kasich of Ohio offer a glimpse at the effects of some conservative policies. MADISON, Wis. — One group of potential candidates for president probably won’t be shuffling off to Iowa, New Hampshire or other early campaign spots in the new year. They’ll be hunkered down in statehouses, pushing bills through their legislatures. Few outside their home states will notice, but these governors and their policies could wind up in the national campaign picture. Scott Walker of Wisconsin, Mike Pence of Indiana, Rick Snyder of Michigan and John Kasich of Ohio were all elected after Republicans began taking political control of the middle of the country back in 2010. Since then, they have offered a glimpse of what some conservative policies would look like if put into wider effect. Should any of these governors join the race for the White House, their state records would become their chief qualification for higher office and might provide some distance from partisan battles in Washington. The governors could also benefit from being in a region rich with swing states. “All those governors have stories of success to tell and stories about crisis management,” said veteran Republican presidential strategist Charlie Black. Here’s a look at what the four governors are planning in 2015, and how they would be positioned to seek the presidency. Indiana Gov. Mike Pence is working to reshape his state’s public education system, allowing virtually any child to attend any school, public or private, with public money. Pence, a former congressman and a popular figure among social conservatives, is working to reshape the state’s public education system. The goal is to allow virtually any child to attend any school, public or private, with public money. Indiana’s school-choice initiative – the nation’s most extensive – was begun by Pence’s Republican predecessor, Mitch Daniels. Pence is pushing to expand it this year by lifting income caps for families seeking state money to send their children to a private school. Pence also wants to allow more parents in five pilot counties to choose their children’s preschool. And he wants the Legislature to increase money for charter schools, which are publicly funded but operate outside the normal public education system. Since Indiana’s school choice system went into effect in 2011, almost 5 percent of Indiana students are using vouchers to attend private schools or charter schools. Critics argue that the effort is siphoning off needed money from public schools. But conservatives insist the competition is good for families and spurs education improvement overall. 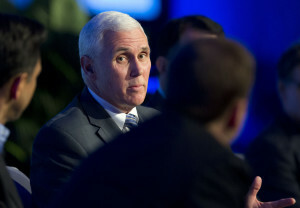 If he runs, Pence’s education record would be a popular talking point, especially in Iowa, site of the first presidential caucuses, which is a hotbed of home schooling. And Pence, 58, has other credentials. 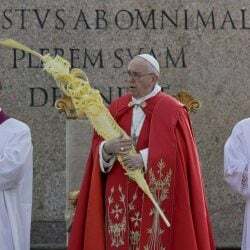 He is highly regarded by the Christian right, having been an outspoken evangelical on a radio show he hosted during his time in the U.S. House. Michigan Gov. Rick Snyder, a former computer company executive, has the trickiest credentials to tout in a Republican presidential primary. 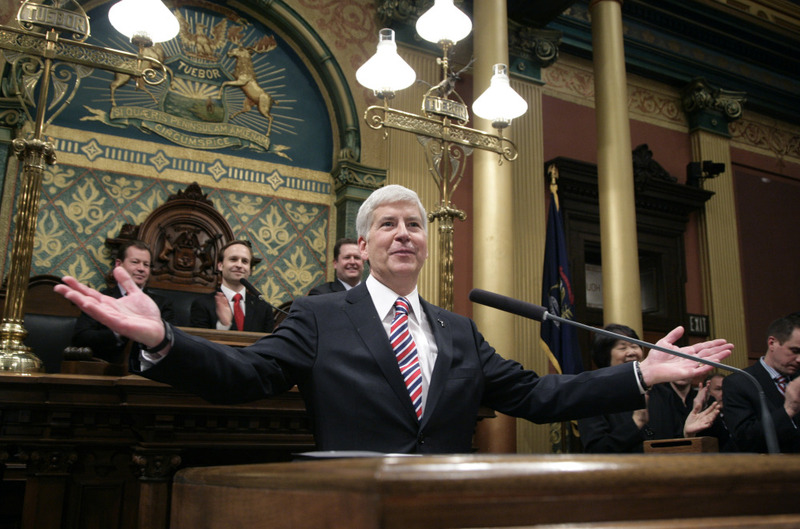 Snyder may already have the flashiest record of any of the four governors, but his achievements are also the trickiest to tout in a Republican presidential primary. Snyder pushed his state’s financially wrecked metropolis, Detroit, into federal bankruptcy court, a task that some people thought would take years, if it could be done at all. A year and a half later, the city emerged with a lighter debt burden, though still facing many difficulties. That feat alone would give Snyder, a former computer company executive, unrivaled credibility as a turnaround artist. But to seal the Detroit deal, he had to commit $195 million in state money, making him a target for anti-spending conservatives in a national campaign. Otherwise, he’s been shaking up taxes, eliminating the state’s corporate tax and proposing to raise others, like the fuel tax, to fix the state’s crumbling roads. In the coming session, he’ll try to expand technical education to help fill more than 70,000 openings for skilled jobs. Snyder’s willingness to stray from conservative orthodoxy – he expanded Medicaid despite his party’s stand against President Obama’s health care overhaul – would make him suspect to the GOP’s right wing. But bottom-line Republicans could be impressed by the 300,000 private-sector jobs created on Snyder’s watch, an unemployment rate that dropped from 11.3 percent to 6.7 percent and a right-to-work law that made union membership optional. Should he run, Snyder might join the “practical” candidates in the GOP field, such as New Jersey Gov. Chris Christie and former Florida Gov. Jeb Bush. “He’s got a phenomenal record in a very difficult state,” said fellow Republican Gov. Terry Branstad of Iowa. Wisconsin Gov. 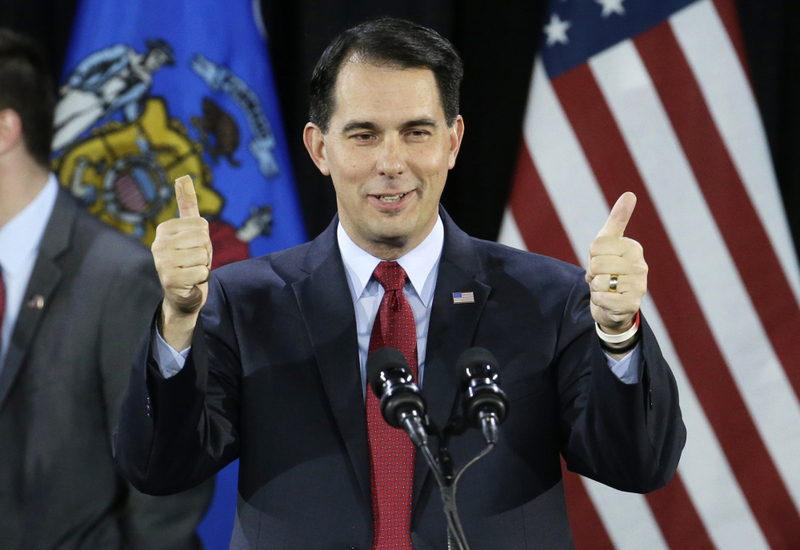 Scott Walker is setting out to beef up his conservative record on fiscal and social policy. Already renowned by conservatives for his willingness to challenge organized labor, Walker is setting out to beef up his conservative record on both fiscal and social policy. Walker is calling on his GOP-controlled Legislature to reduce income and property taxes. He’s also condemned Wisconsin’s adoption of Common Core school standards. Though once popular on the right, the standards are now shunned as government overreach. Walker’s legislative agenda for 2015 includes another conservative favorite: requiring recipients of food stamps and unemployment benefits to pass a drug test. So far, he has resisted a more ambitious plan by leading Republican lawmakers to pass right-to-work legislation. Such an initiative that could trigger a fierce union backlash and possibly add weeks to the legislative session. 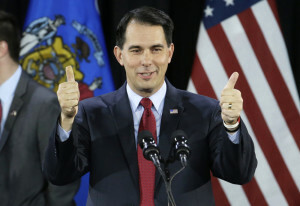 Walker’s coolness toward this pro-business priority is unlikely to cost him in a national campaign, though, because of his success in stripping his state’s public-employee unions of most of their bargaining powers soon he took office. Ohio Gov. 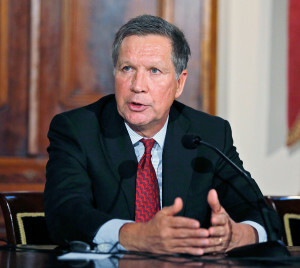 John Kasich has said he will keep trying to reduce the state’s income tax, toward its elimination. Kasich made his mark in the U.S. House as a fiscal hawk while serving as chairman of the House Budget Committee. And while he has also confronted organized labor, he is known more as a social moderate and a spending-control crusader. The former Ohio congressman has said he will keep trying to reduce the state’s income tax toward its elimination and enact job training. He plans to test a national message advocating a federal balanced budget amendment before making a decision on whether to run in 2016. Among conservatives, he’ll also get credit for trying to strip public employee unions’ bargaining rights to reduce pressure on the budget, but voters later repealed his legislation through a referendum. Should he run, Kasich could join Bush in the center of the GOP field.